Véronique Sanson (born 24 April 1949, in Boulogne-Billancourt, near Paris, France) is a French singer-songwriter, musician and producer. 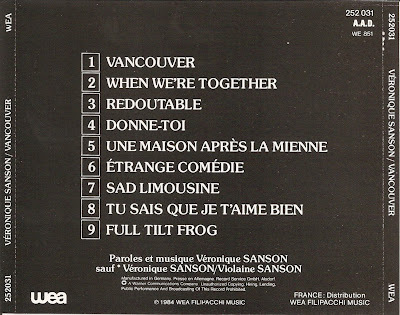 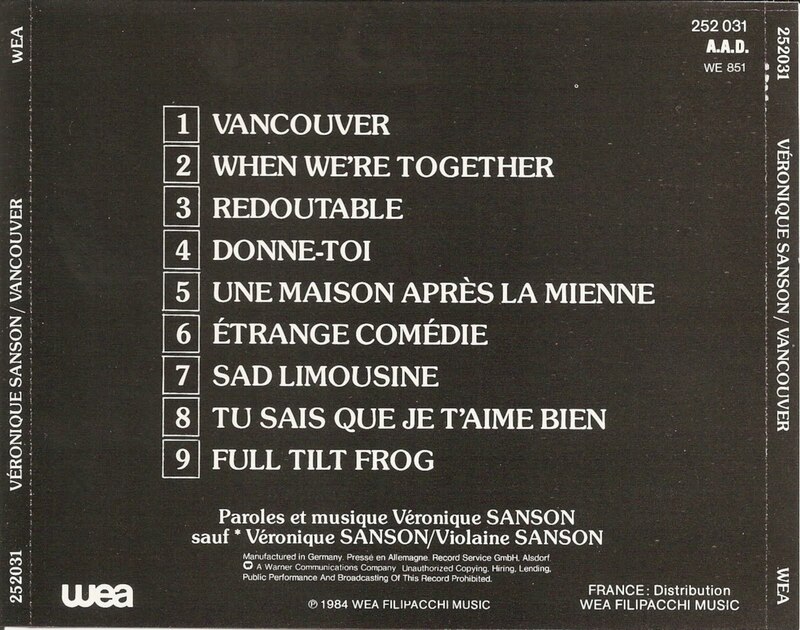 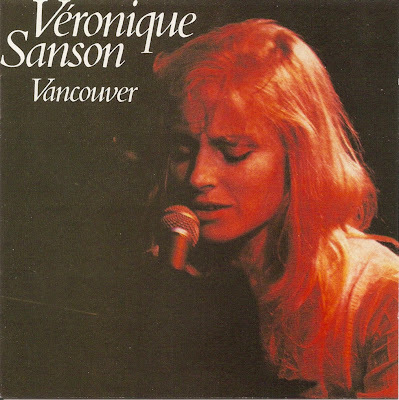 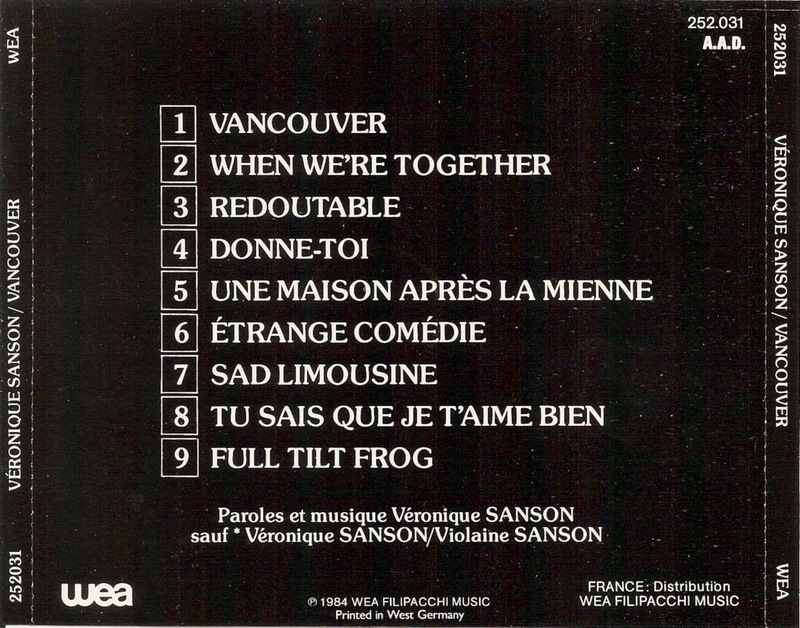 Vancouver is the fourth studio album by Véronique Sanson, released in 1976. 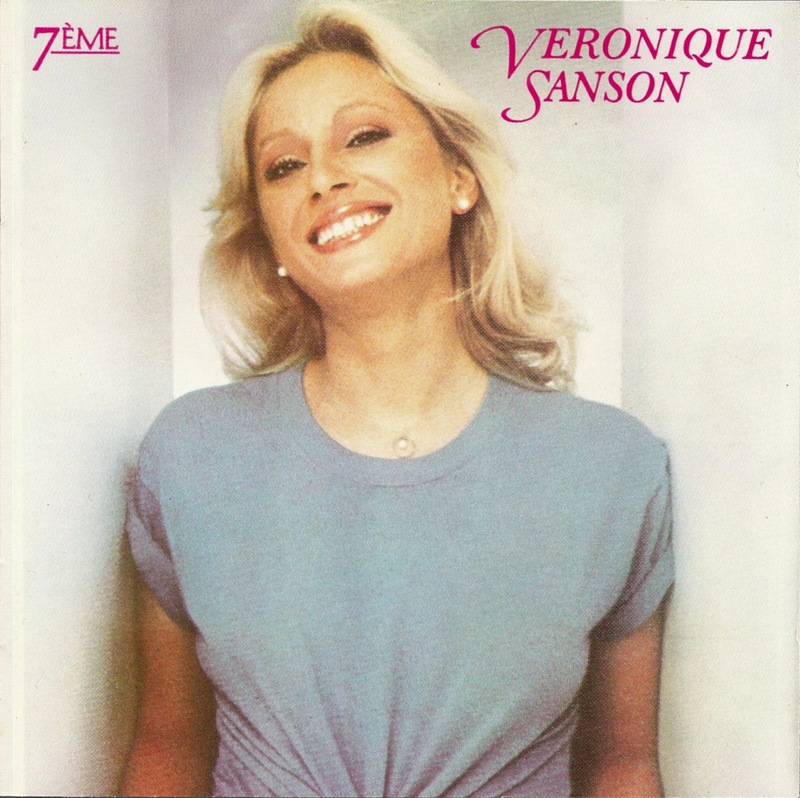 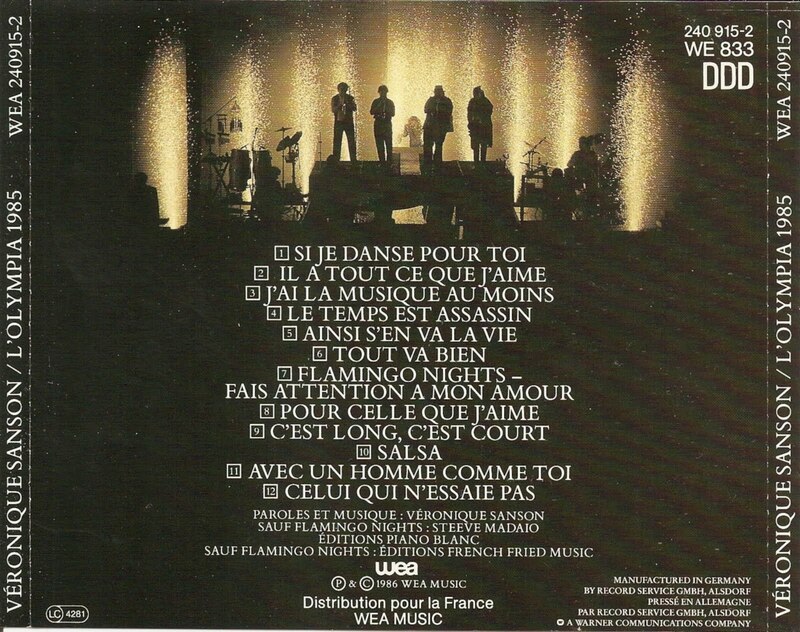 7ème is the sixth studio album by Véronique Sanson, released in 1979. 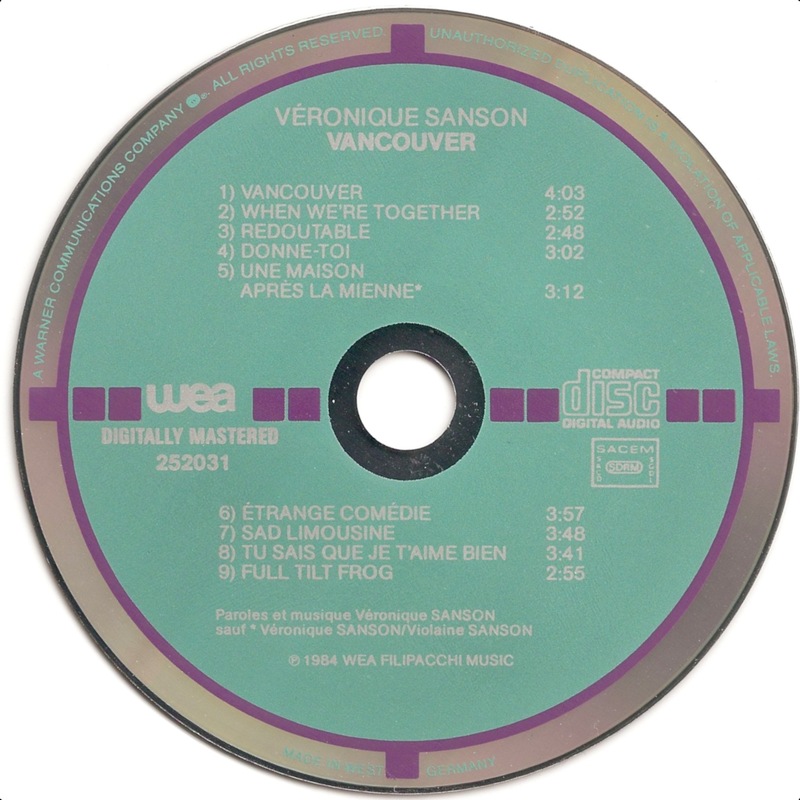 Taking into account the live album that was released in 1976, this album was her seventh album in all as is suggested by the album title. 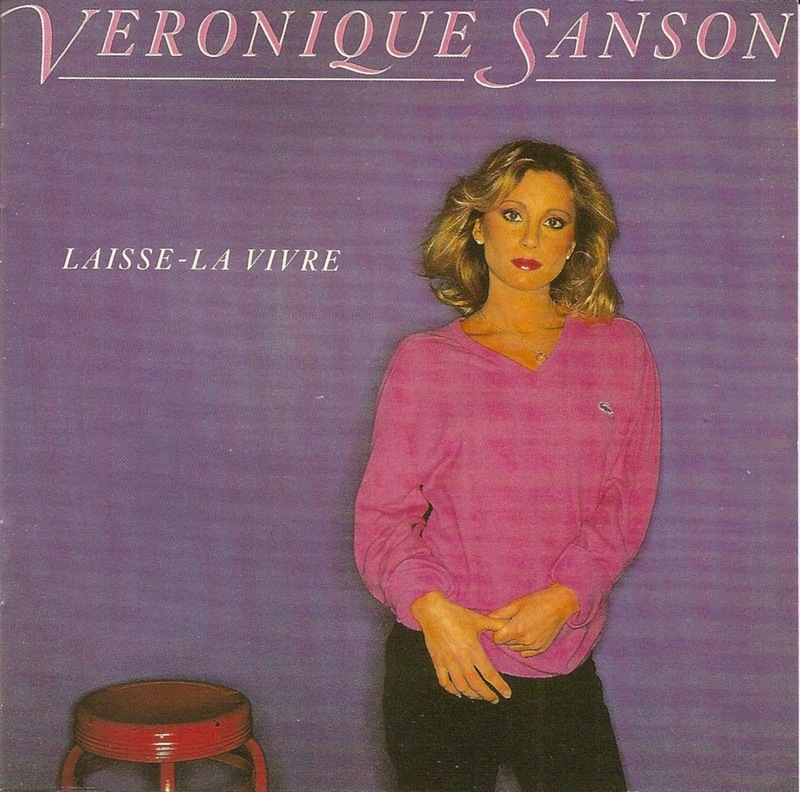 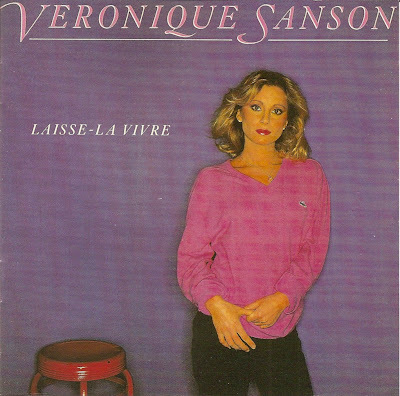 Laisse-La Vivre is the seventh studio album by Véronique Sanson, released in 1981. 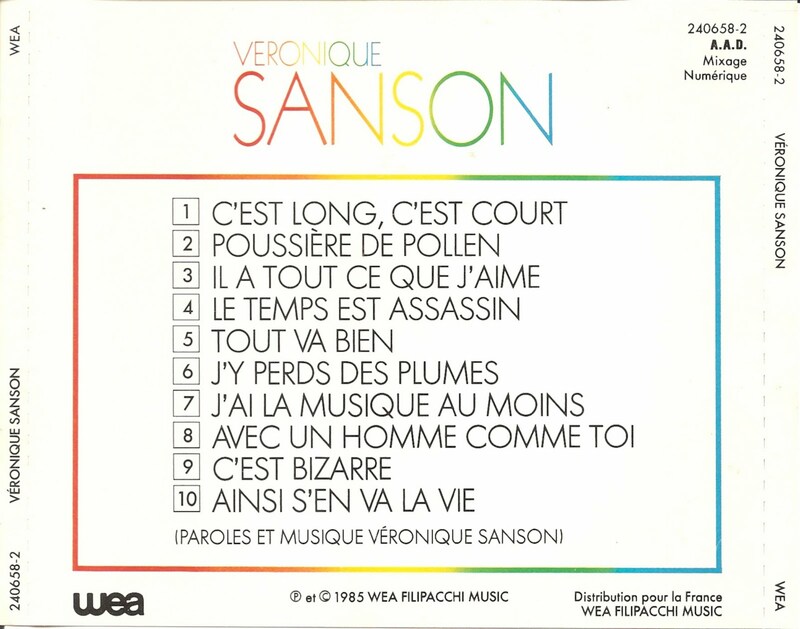 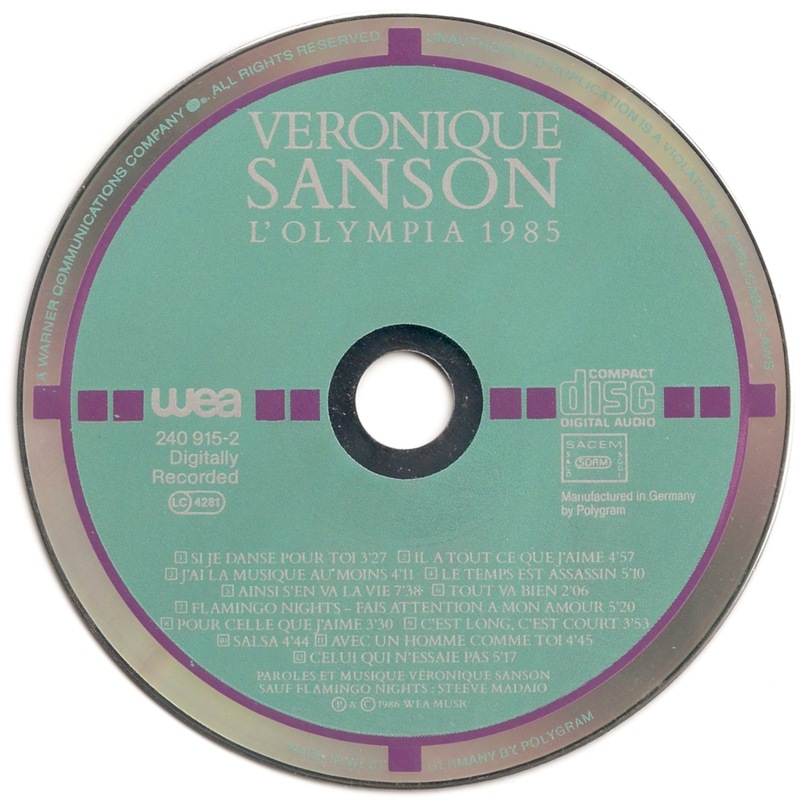 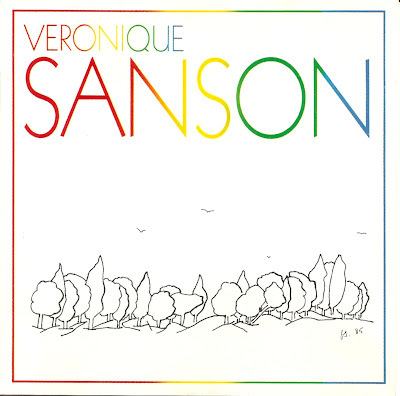 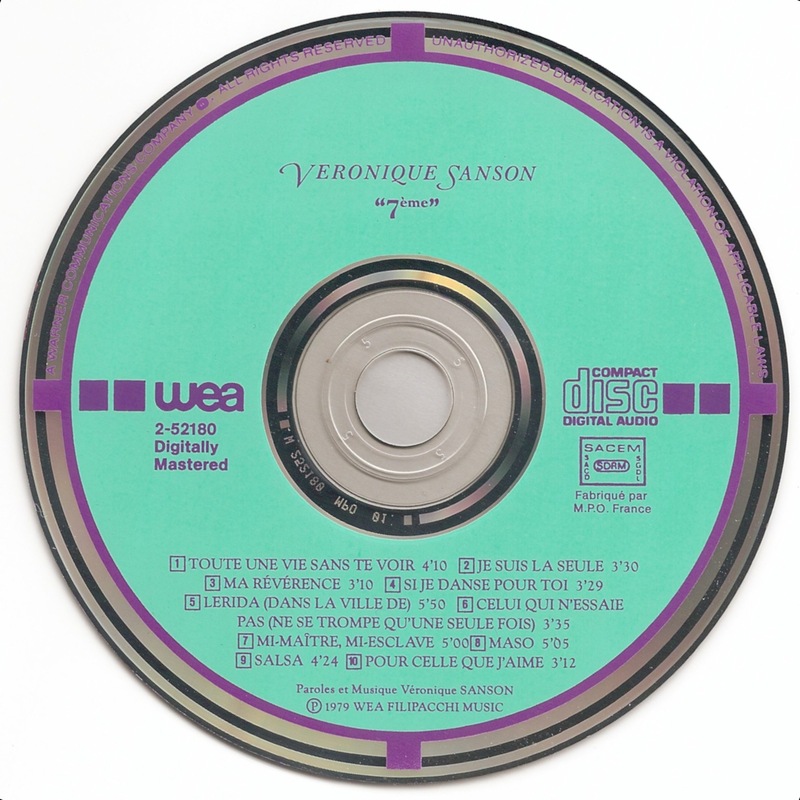 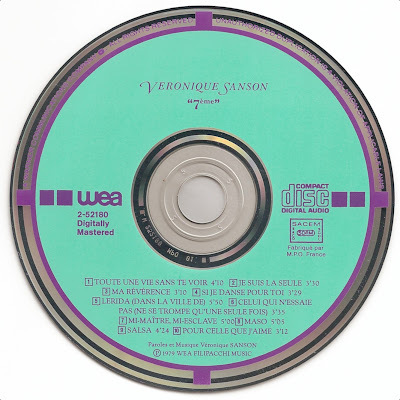 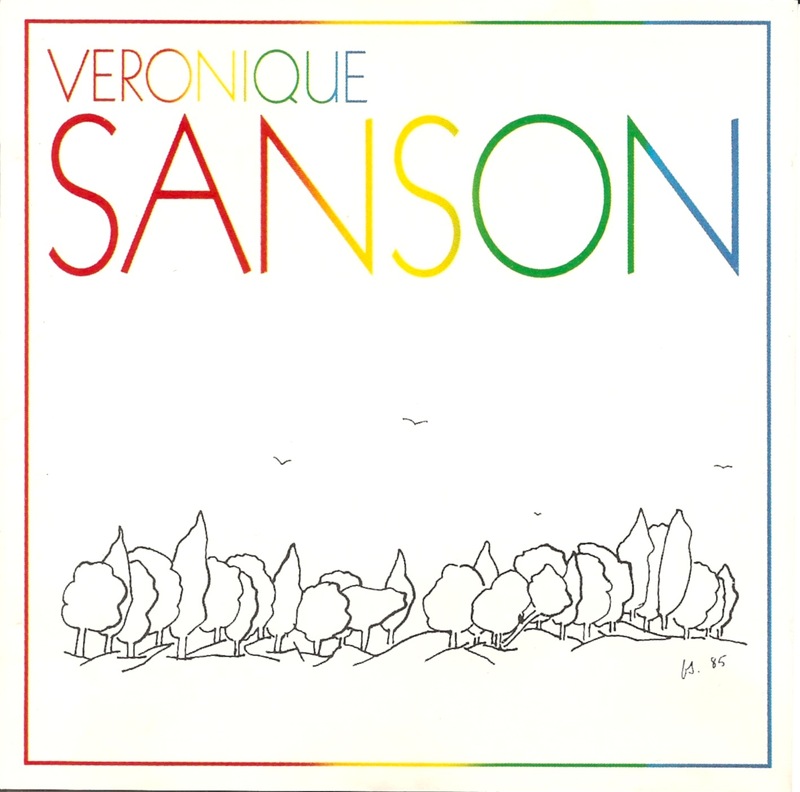 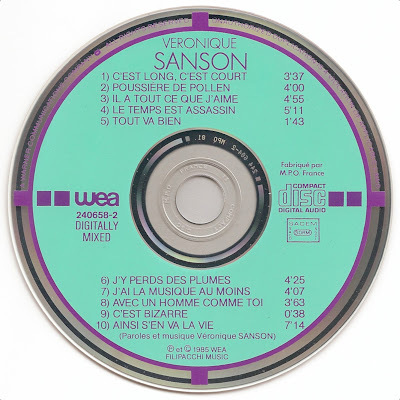 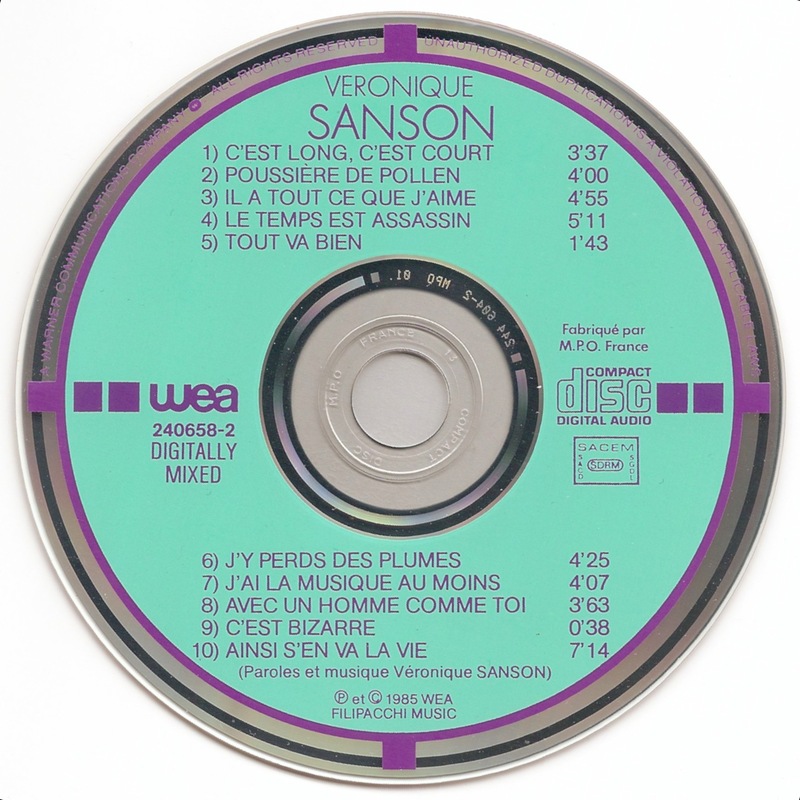 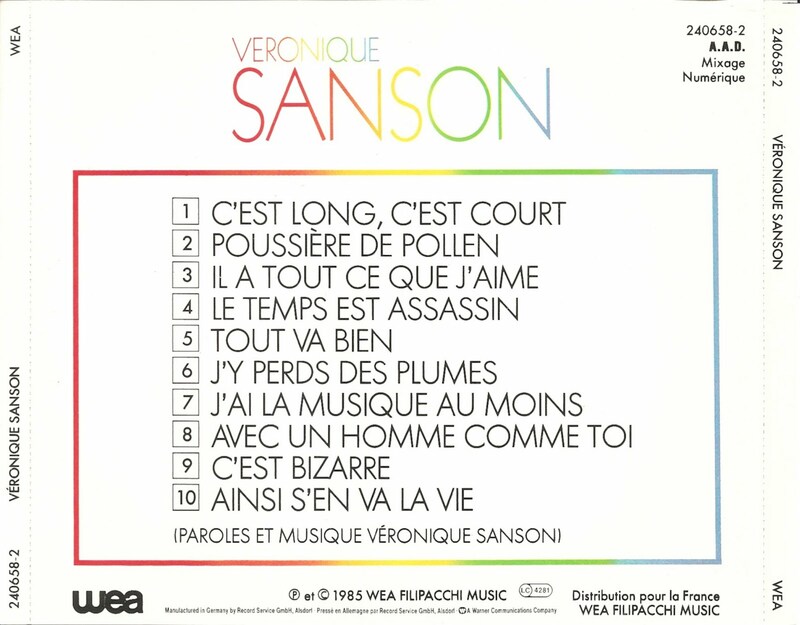 Véronique Sanson is the eighth studio album by Véronique Sanson, released in 1985. 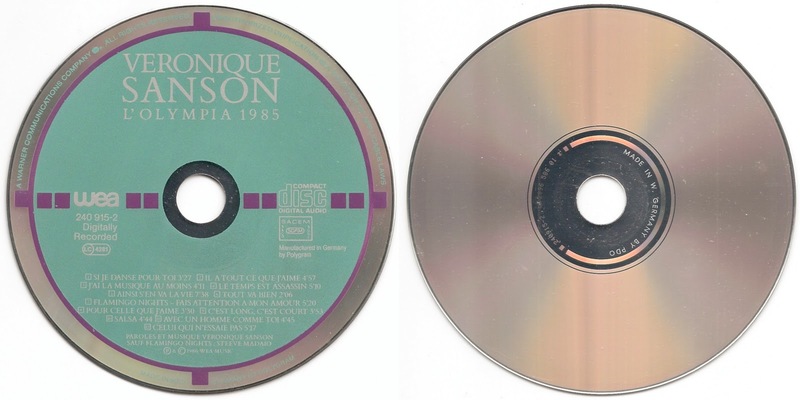 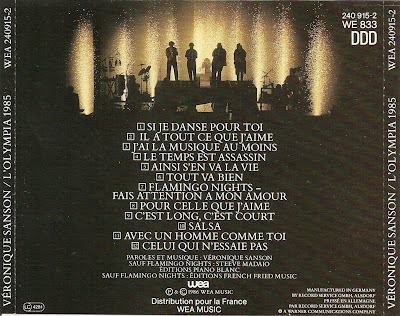 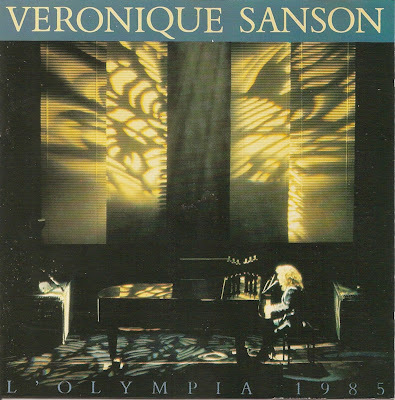 L'Olympia 1985 is a live album by Véronique Sanson, released in 1986. 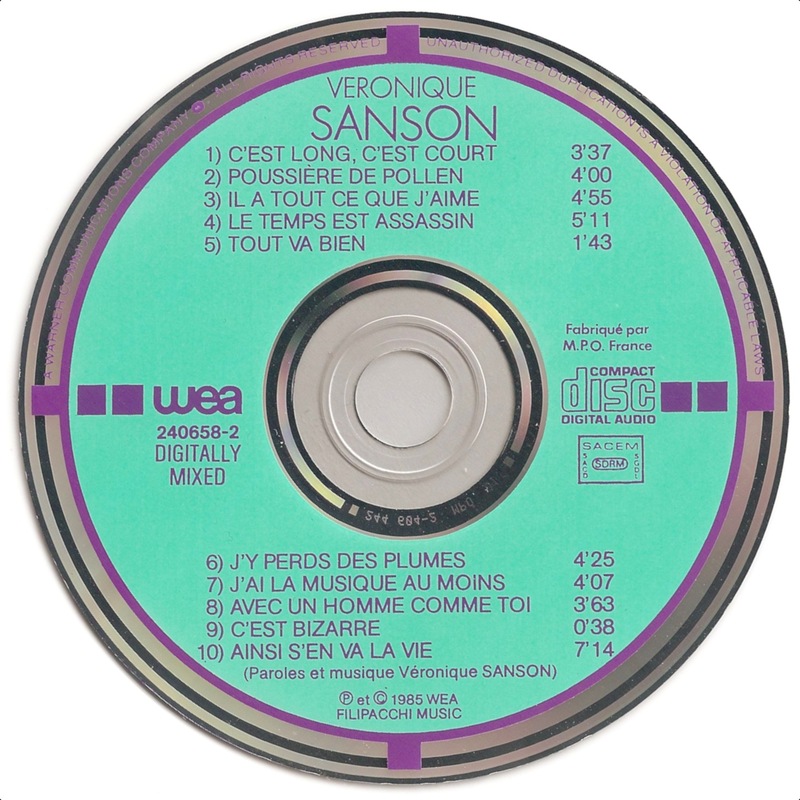 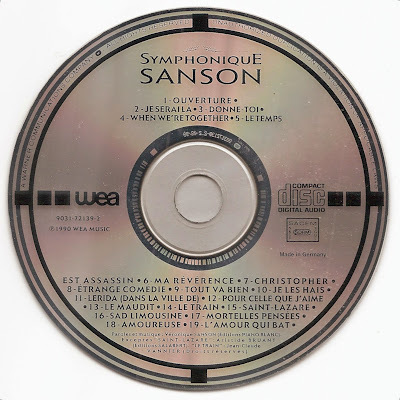 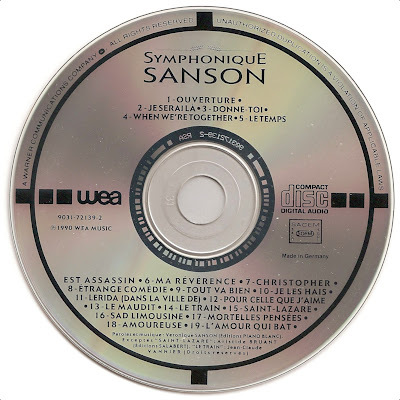 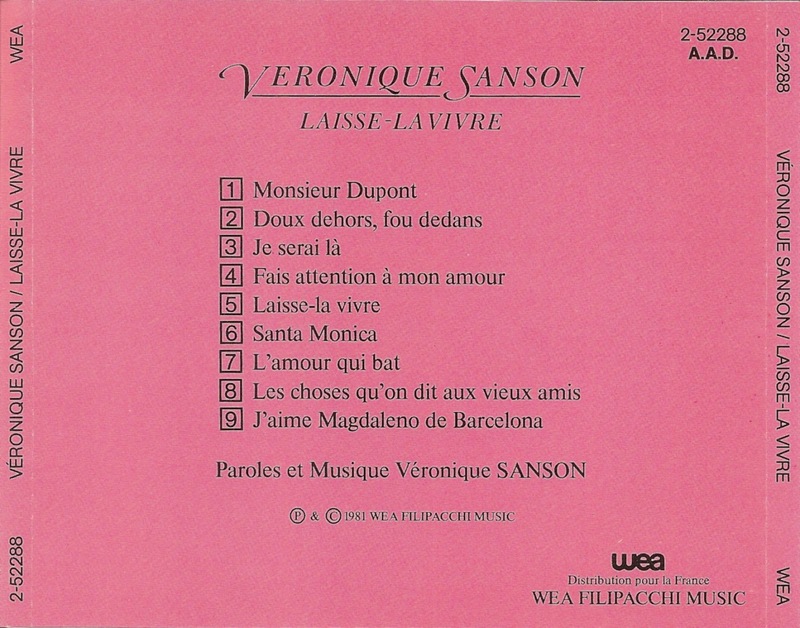 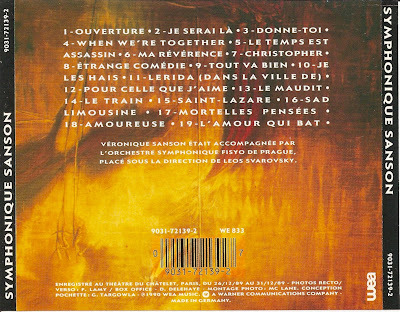 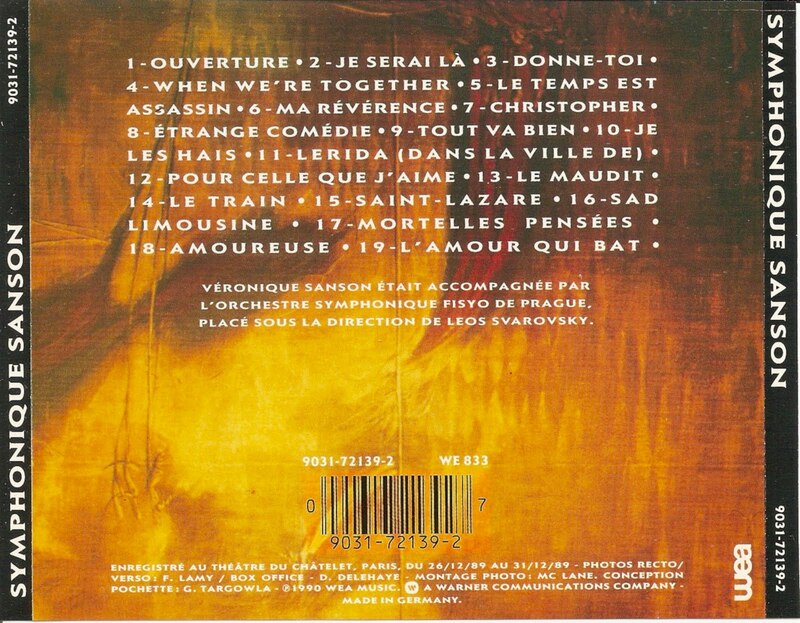 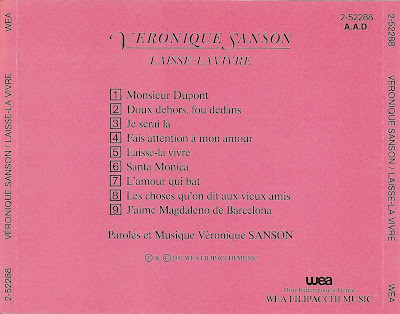 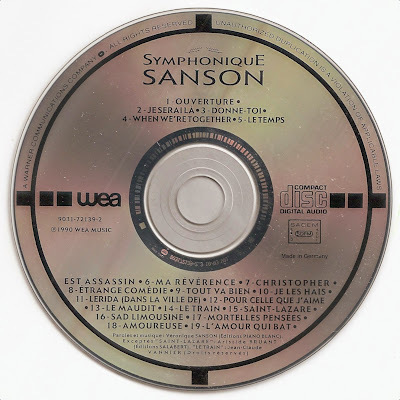 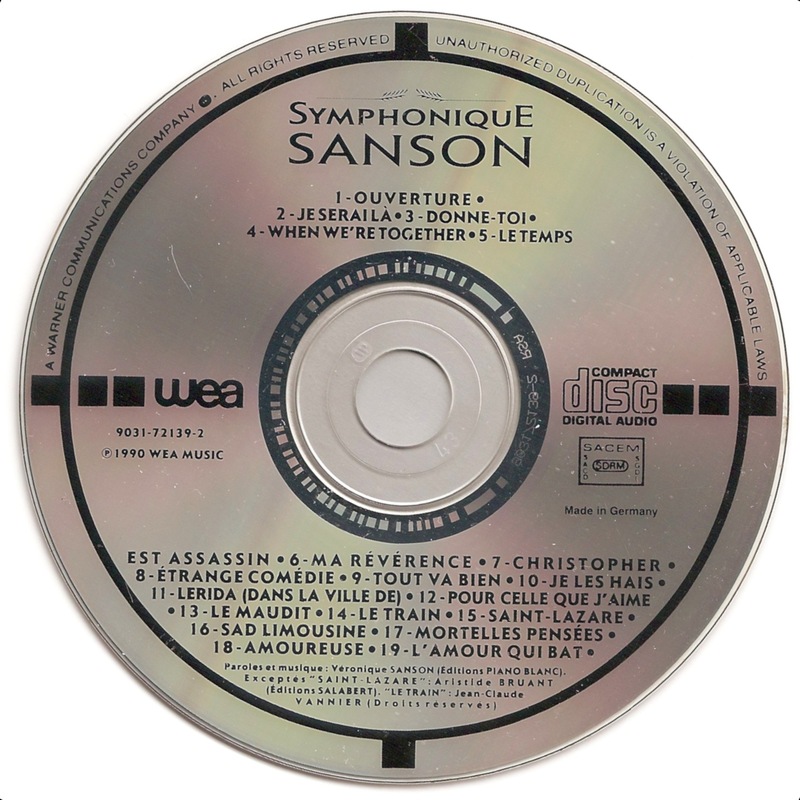 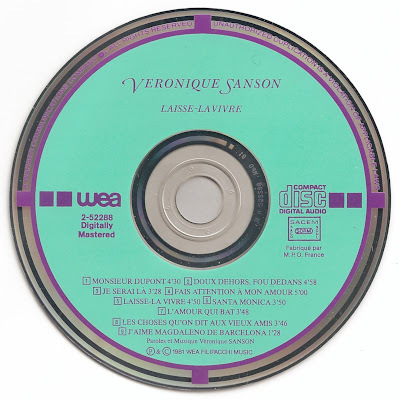 Symphonique Sanson is a live album by Véronique Sanson, released in 1990. 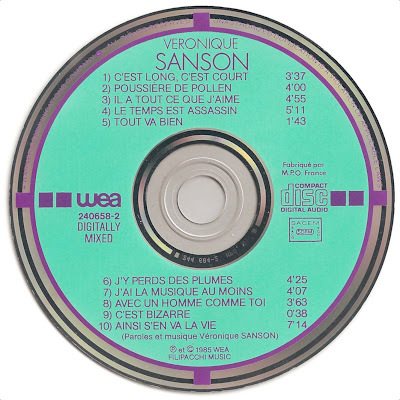 Les Plus Belles Chansons is a compilation album released in 1981, containing a selection of the best songs by Véronique Sanson.